Hippie bedding means not denying that although the 1960s and 70s were known as the hippie eras, the hippie culture still lives on in your own custom bedding right now. It represents peace, love, a world without hatred and violence and one that people can sleep peacefully in at night. 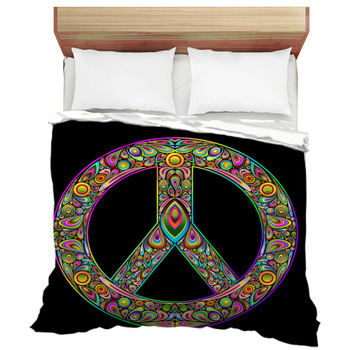 To make your bedroom a symbol of the hippie movement start by adding a statement piece of hippie bedding and all that it represents to your one of a kind bedroom decor. 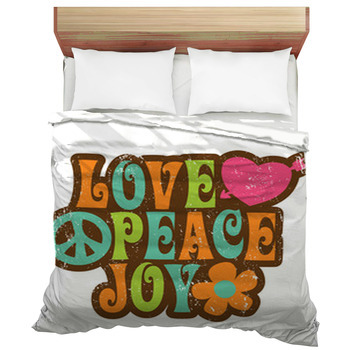 Hippie bedding brings back the culture that signifies a time when people were laid back, love was a priority and living in peace meant getting past differences and accepting people for what they are on the inside. Although the 60s and 70s are over now, the important key elements that was represented during that time is very much still alive in both teens and adults today. 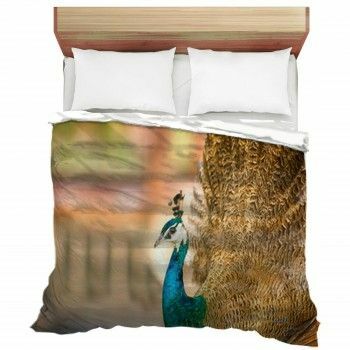 Finding bedding that has the same positive vibes of the hippie era is easy with VisionBeddings exclusive hipping bedding designs. 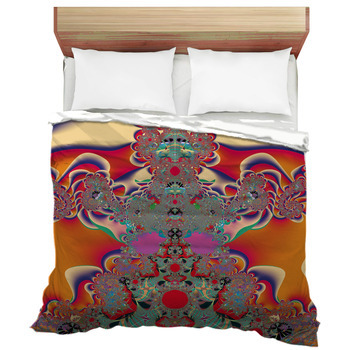 Explore hundreds of designs that will make your room psychedelic and relaxing at the same time. 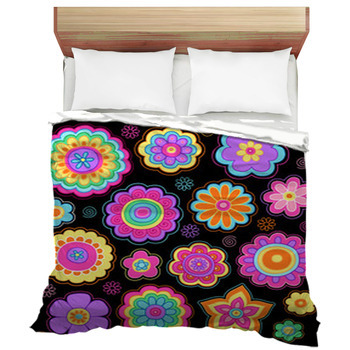 From bright colors to kaleidoscope designs, hippie style bedding will make your room scream with fun! Kids, teens and adults want bedroom decor that excites their minds and displays their personal style. 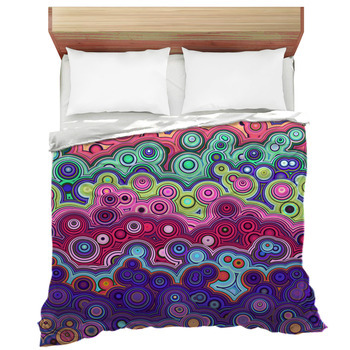 There's no better place to shop for hippie bedding than at VisionBedding, where there are limitless possibilities and color options available. 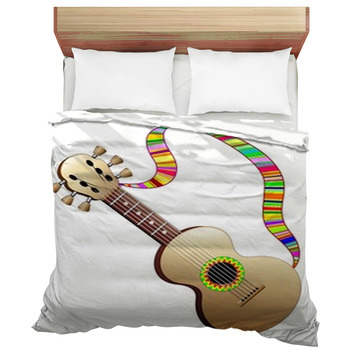 Chill with guitar designs or rainbows of color flowing from the iconic VW hippie van are just a few of the fun bedding ensembles to be found. 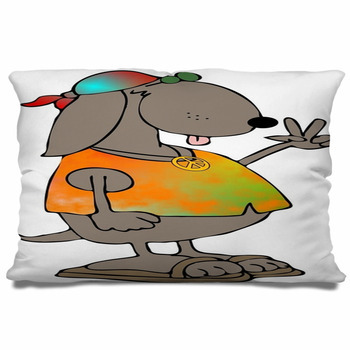 Younger hippie fanatics might find VW Beetles and long haired hippies to be appropriate for their own personalized bedding. 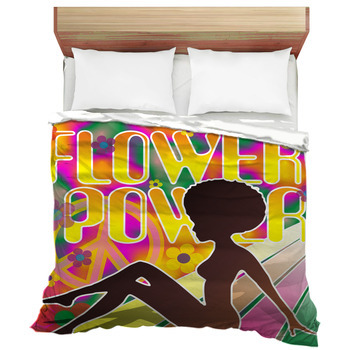 From peace signs to flower power designs, hippie bedding designs are as unique as the individual decorating style of each person. 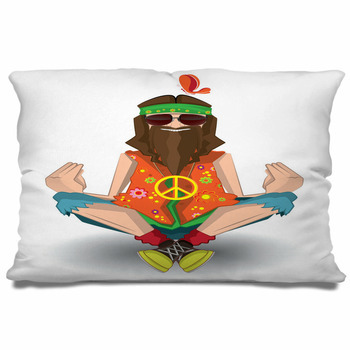 You'll even find a few psychedelic designs as well as iconic hippie mottos and quotes. Don't forget the one of a kind lava lamps that hit it big during the hippie era. Hula hoops, roller skates and disco are all part of what makes hippie style so unique and important to the world today. 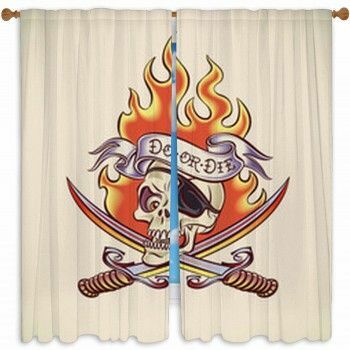 Bring home even more hippie style with a set of hippie window curtains as well. 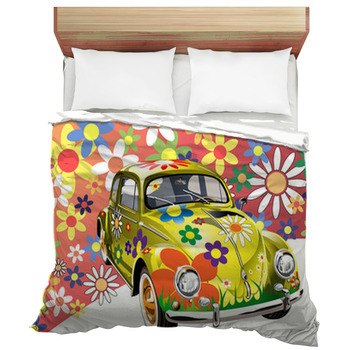 Hippies to 1960s cars, the lingo, fashion and lifestyles were as various as VisionBedding bedding designs. Browse and you'll discover all the designs that can be mixed and matched into your new hipping bed in a bag or bedding ensemble. Don't forget once you've dived into the hippie era, you never know what kind of disco or groovy vibe you'll end up with!.